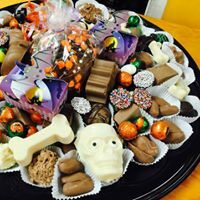 For Peter's Chocolates, candy making" began with the Meliotis Family back in "1938". Pete and Mary Meliotis spent decades producing only the finest milk chocolates for their customers, family & friends in Butler and the surrounding areas. Today "Peter's" is enjoyed worldwide by the same "generations of families" that insist a Holiday without Peter's just isn't a holiday. That's why "we" ship everywhere!! Things have changed very "little" in the last 70 years. "We" pay close attention to "details" while always striving for perfection. 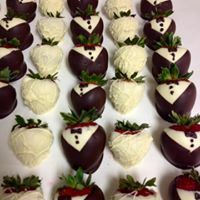 Our Chocolates are produced in small batches using only the finest ingredients ensuring "excellence" in each and every bite. Much of our candy is "hand dipped", making this form of candy making rare by today's standards. Each Chocolate delight is unique much like snowflakes, no two pieces are alike. We gladly fill "special orders" and "gift wrapping" is available upon request! Fresh & Cordial Strawberries, Raspberries, Blackberries, Blueberries & Grapes are available by placing orders a "day" in advance. Have a "special occasion" in the future??? Nothing is more elegant or beautiful than our Chocolates. 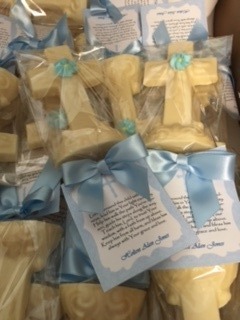 Weddings, Showers, Anniversaries or Office Parties, "Peter's" favors and Party trays are tailored for "every" budget. "Let us worry about the details". We love our "Seniors" so we set aside a "special day" just for them. "Tuesdays", Our "Seniors" will have a 15% discount on "all" purchases. Just our way of saying "Thank You" for your many years of patronage. Please stop by and say "hello" and try a sample of the "Best Candy" we believe in the "World". "Thank You for visiting our "Website." For additional questions, Please don't hesitate to call or Email us Peterschoc@earthlink.net. Special orders are our....well, specialty! 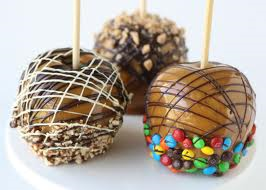 Party/holiday trays, favors for any occasion, fresh fruit and our, one of a kind, Gourmet Apples! Call us with any special requests!